Getting ferocious in spots? Now that is a fantastic idea! We're fans of felines from all over the world. Which is why we've got leopard and big cat costumes for kids, teens, and adults of any age! But, when it comes time to face the facts, it takes a little extra effort to truly become the cat. You're gonna need a roar. And you're gonna need spots! Naturally, we've got plenty of costumes with spots. But don't forget about the face! Kitty cat details on the face are sure to make or break the costume style, and since plenty of our cat costume feature hoods or headbands that leave the face fully exposed, we'd highly recommend adding signature details. Like spots, whiskers, and a nose! 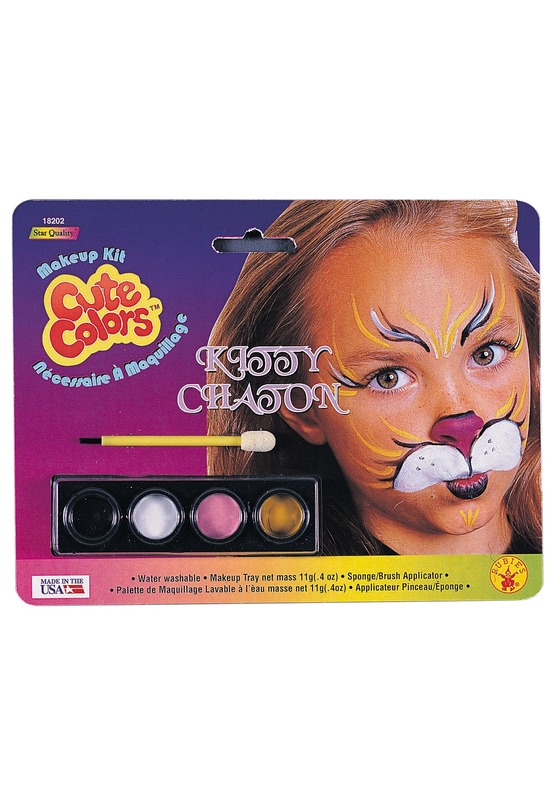 We've got you covered with this Cheetah / Leopard Makeup Kit. It has a 4 color palette: black, white, pink, and orange. It also comes with an applicator. Water washable, this makeup set is perfect for kids or adults. Just paint on some whiskers and accents, and anyone will be ready to become a leopard, cheetah, or tiger! We got your back, whether it's costume or all the accessories and tips and tricks to get the most out of your Halloween experience. Cause when you team up with HalloweenCostumes.com, we're going to own Halloween!